The probability density function (PDF) of the scattered intensity is expressed in terms of the corresponding lower-order moments, whether measured or derived theoretically, assuming that the probability density is unimodal. The sought-for PDF is given by a gamma PDF modulated by a series of generalized Laguerre polynomials; the expansion coefficients are expressed in terms of the scattered-intensity moments with the nth coefficient containing only the first n moments. The Laguerre PDF is not a statistical fit to the data; there are no free parameters in this expansion, and the answer depends directly on the first n moments. The log-intensity PDF is also obtained from the lower-order intensity moments. 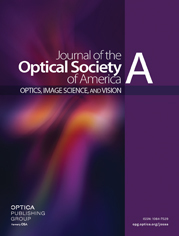 Laboratory scattering experiments that employed light scattering from a photorefractive crystal (a problem formally similar to the turbulent-atmosphere scattering problem) were performed. The first five scattered-intensity moments were measured as well as the intensity histogram; with the exception of the behavior in the immediate vicinity of the maximum, the Laguerre PDF is in good agreement with the experimental data. The Dashen–Flatté approach to the theoretically derived moments by means of path integrals is also discussed in the context of the Laguerre PDF.